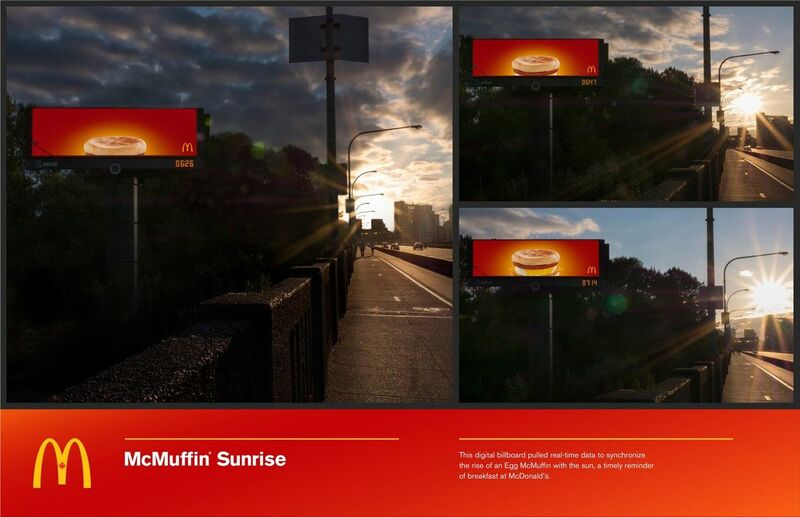 This digital billboard pulled real-time data to synchronize the rise of an Egg McMuffin with the sun, a timely reminder of breakfast at McDonald's. Newer:Condor Hair Brushes: CONTROL YOUR HAIR. The Art of Shaving: Evolution needs a gentle reminder every morning.